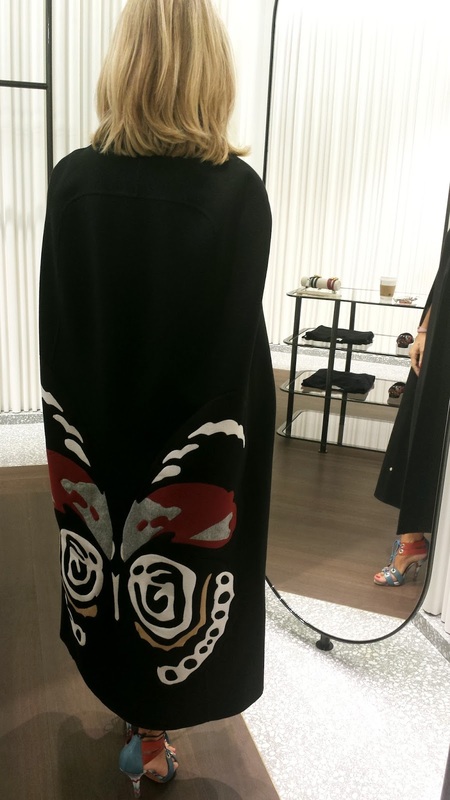 Seeing this gorgeous cape on the window display of Valentino sure made me stop in my tracks and enter the boutique.. At first my full attention was taken by the butterfly cape, I took turns with my friend trying it on it's gorgeous that we didn't want to take it off.. 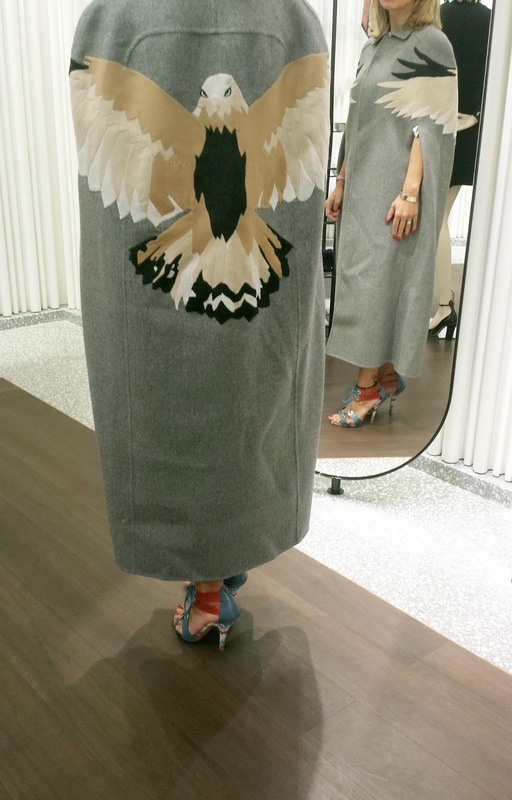 It's nice and long, the arm slits are perfect and would compliment so many outfits for winter. Oh the possibilities are endless..